Progressive and yet laid back, Seattle offers a wide range of entertainment, live music and family fun for all to enjoy. Called The Emerald City, Seattle is the largest city in the Northwest United States and is home to the iconic Space Needle, the famous Pike Place Market and the new Chihuly Garden and Glass. Grab yourself a cheap flight to Seattle and discover how easy it is to travel to North America with Aer Lingus. Connect in Dublin Airport’s Terminal 2, where you can pre-clear U.S. immigration before boarding your flight - that means you can grab your bags and go when you land in Seattle! Noted as the birthplace of grunge music and serious coffee shops (Starbucks and Tully's), Seattle is far sunnier than its reputation as a rainy city. In fact, Seattle receives less rain than many major U.S. cities including New York and Miami. 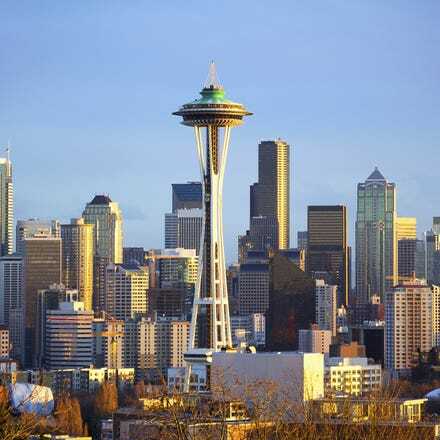 Seattle is a green city with an abundance of evergreen trees and spectacular views of the Cascade Mountains to the east and the Olympic Mountains to the west. 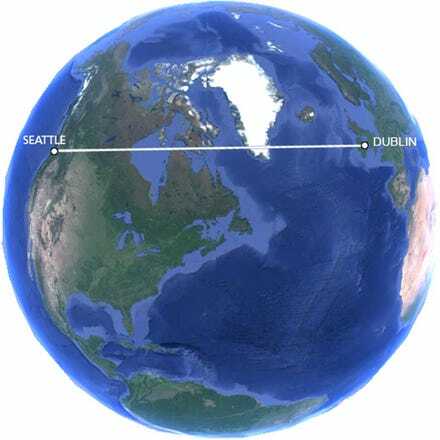 All Aer Lingus flights to Seattle arrive atSeattle-Tacoma International Airport (SEA), which is located approximately 14 miles south of downtown Seattle. King County Metro Transit: The “Metro” public bus system operates throughout Seattle and King County. To find a route, maps and fare information for travel throughout and beyond Seattle, visit Metro online at metro.kingcounty.gov. The South Lake Union Streetcar links Seattle's downtown core to the South Lake Union neighborhood and new 12-acre Waterfront Park. Visit External link: www.seattlestreetcar.org for a route map, hours of operation and ticket prices. The nation's first full-scale commercial monorail system provides a fun, two-minute link from downtown Seattle to the Seattle Center daily. The Seattle Center station is across from the Space Needle. In downtown Seattle, catch the monorail at Westlake Center at Fifth Avenue and Pine Street. Learn more at External link: www.seattlemonorail.com. Sounder Commuter Trains operated between downtown Seattle, Tacoma and Everett.